I’m in Cardiff, the capital of Wales, a lovely place, a city I’ve been to a few times. I’ve ran and walked around a fair bit of it and today I tried another mode of transport. I first tried this machine about five years ago and I was hooked, it was so much fun. That trial ride was in a large exhibition hall at a bicycle show. Since then I’ve been looking for the opportunity to ride a machine outside. The Channel View Leisure Centre in Cardiff, I discovered, (thanks to an email from the Elliptigo CEO and co-founder Bryan Pate), rents them out. Now in an ideal world I would have taken a video but again I pressed the buttons on the action camera incorrectly so here’s something from YouTube to give you an idea of what I was on today. Once the forms were signed and my hire fee paid, a quick safety and readiness check and I was off. I zoomed along, heading down the riverside towards the Cardiff Bay Barrage and after a few dead ends, wrong turns and asked for directions that where I ended up. 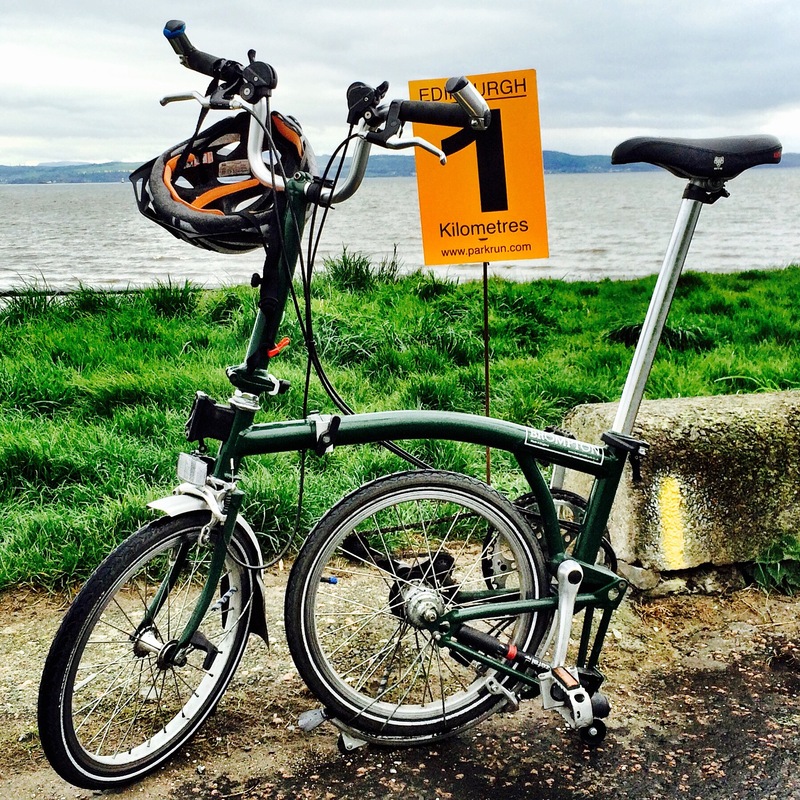 The Elliptigo is a great ride, it catches the eye, with old and new watching and wondering as I moved on by. You are in a high position and it’s a unique experience of movement, when you are used to the car, cycle or shanks pony. It’s easy, with no problems of aches and pains from my knees or other joints. Without too much effort I was able to pick up a fair turn of speed with 20’s kph plus and even into the 30’s reached with a bit more puff. Utilising the 8 gear shift meant that any incline was not a problem either. My pace might not have been enough to trouble the Sunday Lycra clad MAMIL’s on their go faster road cycles but it was good enough for me. So down one side of the river, across the bay, via the barrage, up the other side passing the Senned (Welsh assembly) building, then onto the road with real traffic as opposed to river side tarmac pathways, populated with pedestrians and cyclists. Being almost at the same height as the tourist coach that drove parallel to me along this road was fun, especially as I felt I could look into the eyes of the younger passengers who seemed awe struck by this strange looking transportation device. Pointing at me, as I rode in the cycle lane. I probably felt least comfortable on the road and made a mental note that more practice would be required if I was to do this more often, especially on busier commuter routes. The final leg was off this road, travelling back down the tarmac clad river side walk/cycle pathway. No one in the way, no cracks or bumps in the tarmac, no nothing really and then…….. The Elliptigo went left and I flew right for a couple of metres. Thankfully I had the crash hat on and this probably saved my forehead from a real crack but not my lower face. Or my right arm or legs. The latter clattering the handlebar and upright and I think will bruise nicely come tomorrow. As well as a cycle hat you should always wear gloves and without these today my right palm would be just as ripped. No fractured wrist either, lucky but still Ouch! Why did it happen, I’ve no idea, the physical act I can feel but there’s no obvious – that’s how you did it. One of those things, that I’ll probably never know. Lost in the zone perhaps? All the more strange as I can’t remember coming of any wheeled machine like this for decades. The Elliptigo was intact as was I. Thanks to the anonymous other path users who made sure I was ok and to the leisure centre staff just around the corner who offered to utilise their first aid skills. Some ice, wound cleaning and analgesia and the worst is past. I still loved the couple of hours I had on the machine today, despite my Ellipti-Oh My God! experience flying through the air to an abrupt stop on the ground. It was fabulous fun and I have the bruises to prove it and the memories of me chuckling as I walked back to the hotel will only fortify the memory, I think that’s called adrenalin. Next Next post: Paying It Forward?